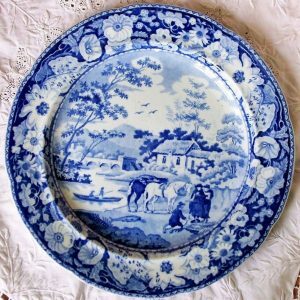 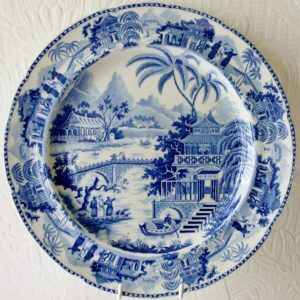 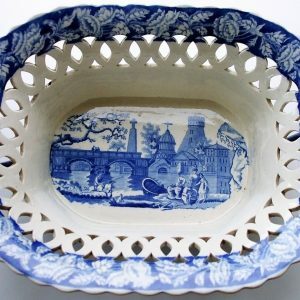 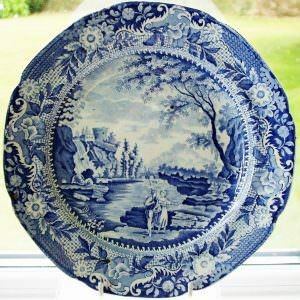 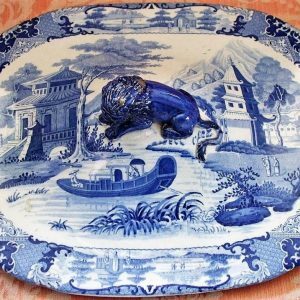 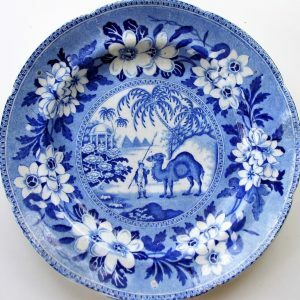 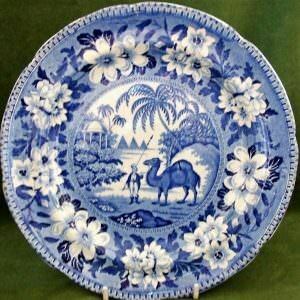 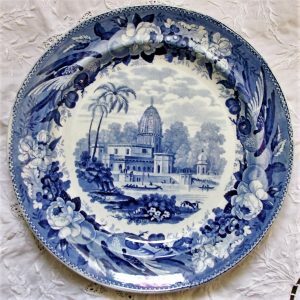 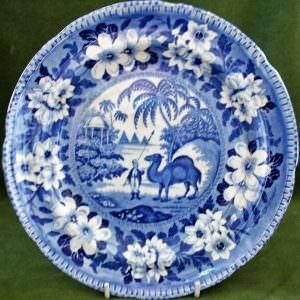 From the Late 18th Century, cool, refreshing Blue and White Transfer Ware, largely produced in Staffordshire, but also in South Wales and the North East of England has delighted the eye and provided the perfect decorative accessory for the period kitchen. 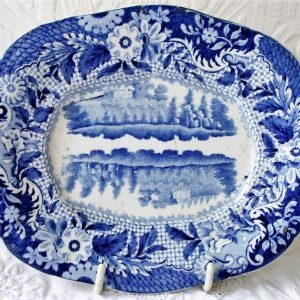 Displayed upon an oak or pine dresser, it will brighten up the darkest day, while the myriad patterns in which it was printed have formed the theme of many a fine collection. 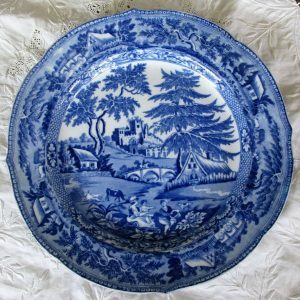 Antique English Georgian Blue and White Transfer “Castle of Rochefort ~ South of France” Pattern Pottery Sauce Tureen Stand ~ Brameld & Co. 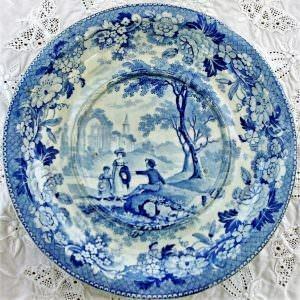 Antique English Georgian Blue and White Transfer “Castle of Rochefort ~ South of France” Pattern Pottery Plate ~ Brameld & Co.